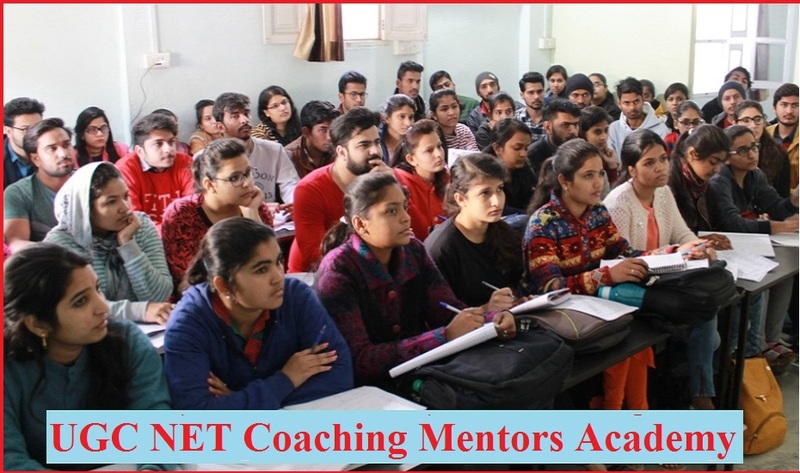 MENTORS ACADEMY has judged as the Best Institute for UGC NET coaching in Chandigarh, on the grounds that it doesn’t trade off with its quality and standard of educating. Best ugc net coaching in chandigarh for commerce. It is difficult being the best, yet the MENTORS ACADEMY group is dependably up for a test of the most noteworthy size. Best UGC NET coaching in Chandigarh. Best ugc net computer science coaching in chandigarh. Best ugc net coaching in chandigarh for management, Best UGC NET Economics coaching in Chandigarh. The MENTORS ACADEMY, a noteworthy division of Career Shapers, has been centering for as long as years to support a standard quality training to the hopeful who need to make an imprint in the scholastic and who need to be ones to continue with the light of illuminate for the future eras. MENTORS ACADEMY is India’s NO. 1 UGC Net Commerce Coaching in Chandigarh that is putting forth quality instructive administration in a few fields of study and examinations. In this manner, with respect to noticeable UGC NET passage tests, our association offer quality coaching for a few subjects that fall in that. Best UGC NET Economics coaching in Chandigarh. Best UGC NET computer science coaching in Chandigarh. Intensive Practice Sessions By Experts On Mock Tests Of UGC NET Exam Pattern. Use Short Cut Techniques Specially intended For Mathematics, Reasoning For UGC NET Exam. Highly Dedicated, Experienced and Permanent Team of Teachers For Each Subject. 21 Booklet Sets With Over 4600 Questions Provided to each understudy. Life Time Validity Card System (Student can Take FREE Coaching Till They Clear their UGC NET Exam). Classes Seven Days A Week (Sunday Also, No Holiday) just in Mentors Academy. Best UGC NET Economics coaching in Chandigarh. Hostel/PG Facilities For Students From Outside (Other State) Provided By Mentors Academy. Regular, Weekend and Late Evening Batches are additionally Available According to the necessity of Student. Morning And evening Batches are Running. Full study material gave the foundation including target sort task and most recent 5-year question paper with the arrangement. Day by day 3hr to 4 hr. classes 6 days in a week and week after week test held in the organization. Uncommon additional time for uncertainty session classes. Here in MENTORS ACADEMY, we are renowned for No. 1 UGC NET Commerce Coaching in Chandigarh, Mohali we give 18 booklets and showing staff is Highly Experienced. Best UGC NET Economics coaching in Chandigarh, Mohali. Here in MENTORS ACADEMY, we are renowned for No. 1 UGC NET Commerce Coaching in Chandigarh. we give 18 booklets and showing staff is Highly Experienced. Best UGC NET Economics coaching in Chandigarh. No. 1 UGC NET Management Coaching in Chandigarh Mohali, our prelude is for Regular and Weekend Batches as in weekend brunch class calendar is of least 7 hours including half hour break. Best UGC NET Economics coaching in Chandigarh. What is UGC Exam? then again What is University Grants Commissions Examination? UGC conducts NET twice every year, i.e., in the months of June and December. The warnings declaring the June and December examinations are distributed in the months of March and September individually. In the wake of Clearing National Eligibility Test (Net) Some Of The Job Openings For UGC-NET. UGC NET Result Declaration Schedule: The after effect of June, UGC-NET is proclaimed for the most part in the month of October. Likewise December, UGC-NET result is generally announced in the month of April. Best UGC NET commerce coaching institute in Chandigarh. The Ph.D. degree holders whose Masters level examination had been finished by nineteenth September 1991 (independent of the date of the statement of result) might be qualified for an unwinding of 5% in total imprints (i.e., from 55% to half) to appear in NET. UGC NET coaching in Chandigarh. The hopefuls who have passed the UGC/CSIR JRF examination preceding 1989 are additionally exempted from showing up in NET. Amongst those candidates who have cleared step I, a merit list is prepared subject-wise and category-wise using the aggregate marks of all the three papers secured by such candidates. PH/VH/SC/ST 35 (35%) 35 (35%)There will be no negative marking. For students preparing in UGC NET Coaching in Chandigarh, online & offline mock test service is present along with regular and correspondence batches. 3 To 4 hours daily regular classes for those candidates preparing with UGC Net Commerce Coaching in 1 month / 2 months & 5 months Coaching Classes for fulfilling the requirement of the candidate to get the best UGC NET Education Coaching in Chandigarh.